American sitcom 'FRIENDS' replaced Jack Geller with a completely different stand-in actor that looks nothing like him. 'FRIENDS', arguably the greatest sitcom of all time, initially premiered back on September 22, 1994, till May 6, 2004, is still watched by thousands of viewers every day, even a decade after its ultimate finale. It's obvious too as the series is definitely worth watching anytime to entertain ourselves. However, fans were quick to witness a major fault you totally missed in the series. It's not the only error the comedy series has made. For instance, Monika apartment had number '5' written on the door but since she was on the upper floor of an apartment, they later changed it to '20' instead. During the early premiere, Monika room no was '5'. 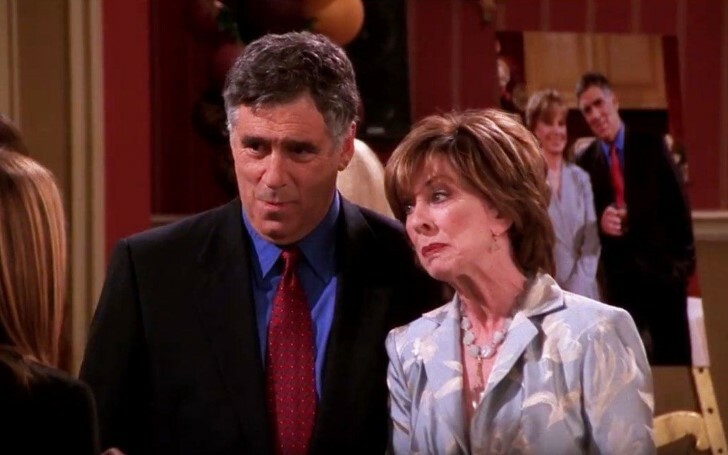 The most recent that we witnessed is back from an episode called 'The One in Massapequa' where Jack Geller (Elliot Gould), the father of Ross (David Schwimmer) wasn't present during a part of the shoot. 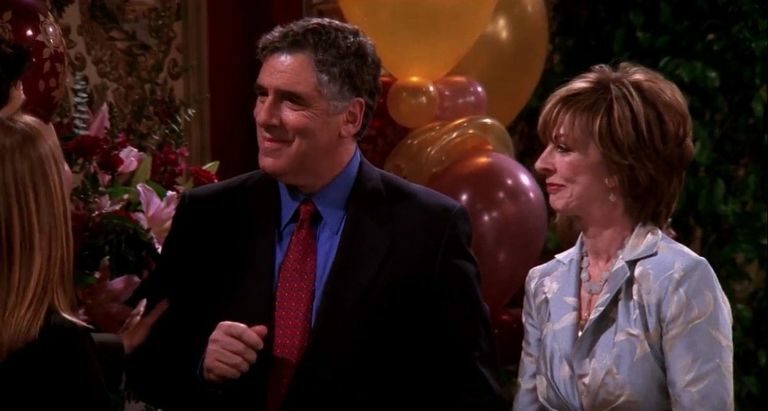 Check out a glimpse of the video on an episode where Rachel and Ross join the 35th Anniversary of Ross' dad and mom. 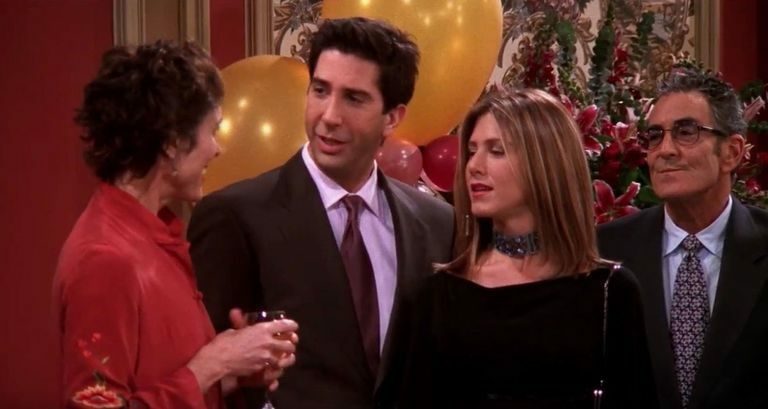 The production-hidden mistake is witnessed when a relative congratulates Ross and Rachel (Jennifer Aniston) for their upcoming baby and during their conversation, Jack is switched with a not so look alike artist. Ross' dad Gilliot initially jokes before the change showing a toothpick "Why would you serve food on such a sharp stick". Of course, the blunder didn't stop the filming process, so instead, they brought a look-alike actor to replace his place though he seemed nothing like him. You can see a substitute actor behind Rachael with glasses. The reason behind the defect was seen due to the modern screen ratio sizes as earlier in the '90s the shows were premiered at 4:3 ratio whereas now the screen has turned out to be wider and clearer with the motion ratio of 16:9. So, guys have you noticed it before? Well, there are plenty of other hidden mistakes that you won't believe the sitcom tackled you with. Stay connected to find out more.